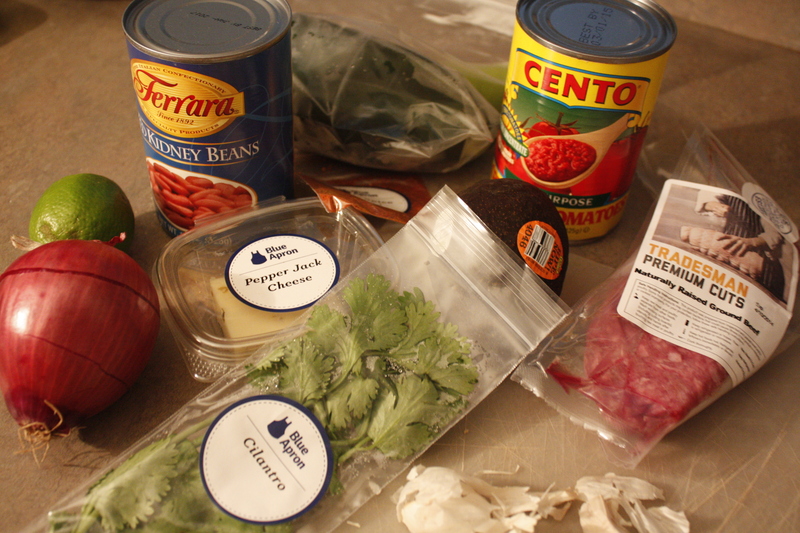 We always love the next day chili because the flavors have fully developed overnight. 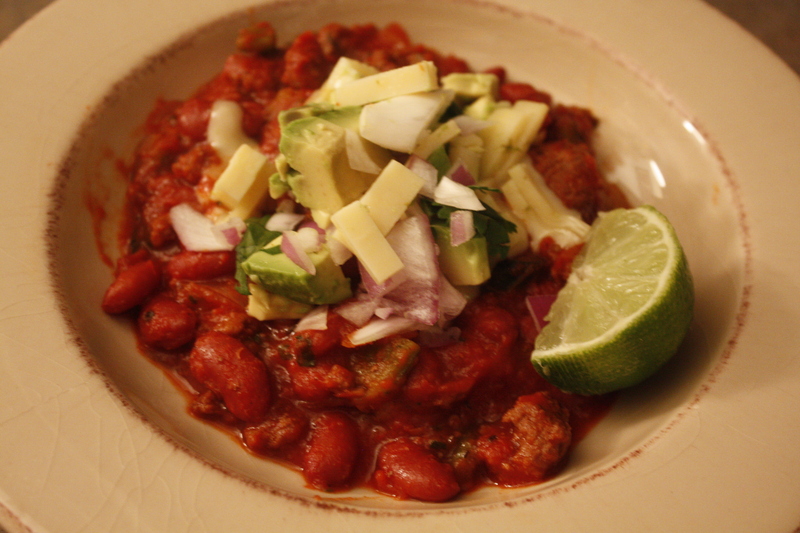 The Three Chile Beef Chili with red kidney beans and pepper jack cheese is quite tasty, especially with a glass of red. The poblano and cubanelle peppers, popular in Cuban cuisine added the heat and the serrano pepper, “highlander” as described in the recipe provided a spicy complex finish. We loved the addition of creamy avocado and lime. The melty cheese and flavor was delicious and would consider putting the entire portion of chili spice mix versus half. Preheat oven to 500 degrees F. Grate cheese. Drain and rinse kidnehy beans. Pick cilantro leaves off stems. remove green rind of lime and avoid white pith. Mince and peel 2 tsp lime zest. Cut lime into quarters. Peel and mince red onion and garlic. Peel, pit and dice the avocado then toss with the juce of 2 lime wedges to prevent browning. 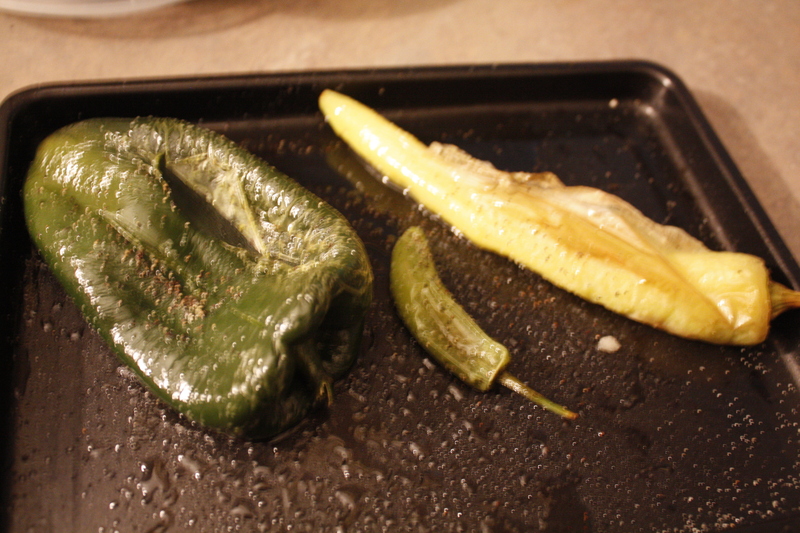 Place the cubanelle, poblano and Serrano peppers on a sheet pan. Drizzle with olive oil and season with salt and pepper. place in the oven and roast 7 to 9 minutes or until the skin is browned and blistered. Remove from oven. When the peppers are cool enough to handle, remove and discard the seeds and stems, then roughly chop the peppers. 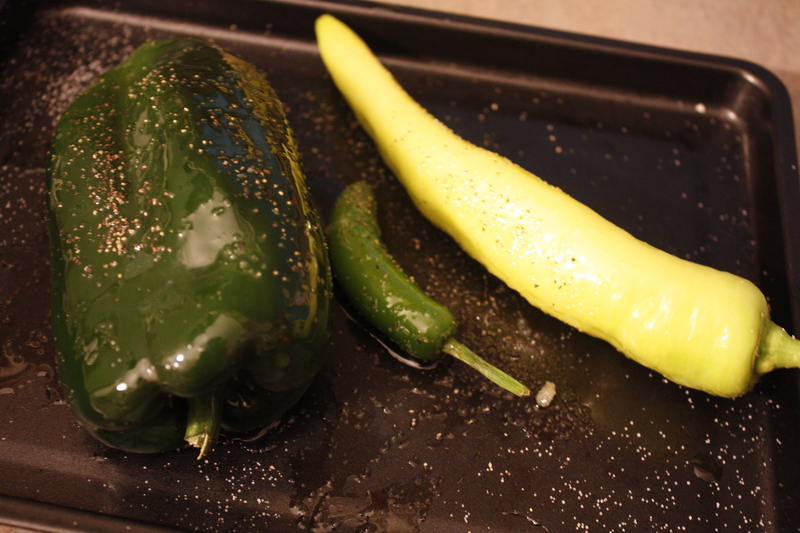 Once the peppers have roasted, in a medium pot, heat 2 tsp of olive oil on medium-high until hot. Add the ground beef and season with salt and pepper. Cook, frequently breaking apart the meat with a spoon, 2-3 minutes or until lightly browned. 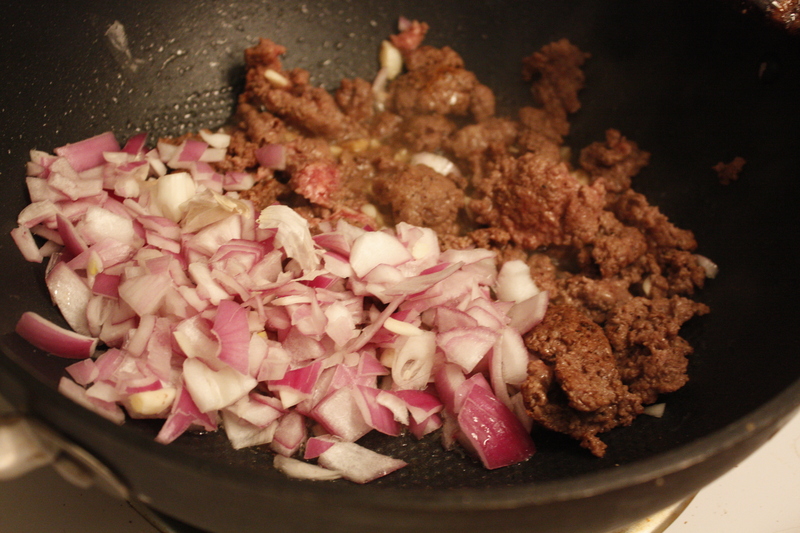 Add the vegetables to the beef, add the garlic and all but a punch of the red onion (for garnish). Season salt and pepper and cook stirring occasionally until the onions has softened (2-3) minutes. Add as much of the chili spice as you like (we suggest the whole pack), depending on how spicy you would like the dish to be. Cook 1 to 2 minutes, stirring frequently, or until toasted and fragrant. Simmer the chili: stir in the crushed tomatoes, rinsed kidney beans, lime zest, chopped peppers and 1 and 1/4 cup of water into the chili. Reduce the heat to medium. Simmer, stirring occasionally, 10 to 12 minutes or until thoroughly combined and slightly reduced in volume. Season with salt and pepper to taste. 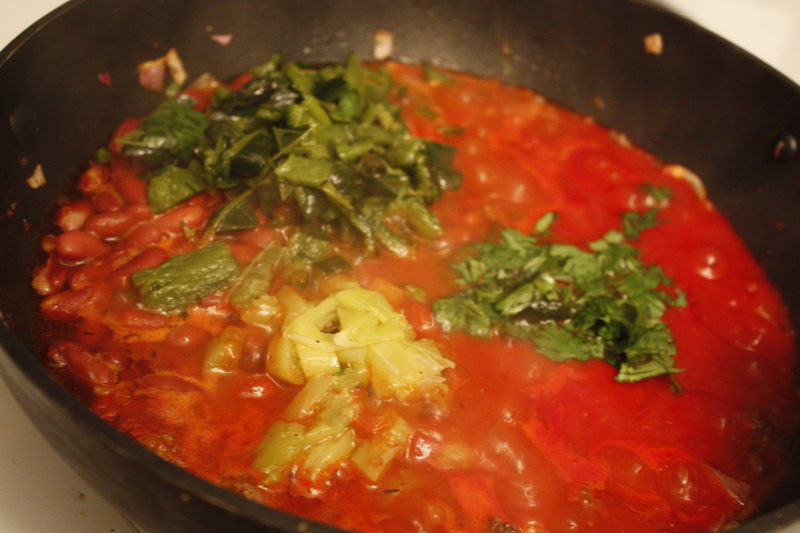 Remove from heat and stir in all but a pinch of cilantro (roughly chopping before adding, if you’d like). 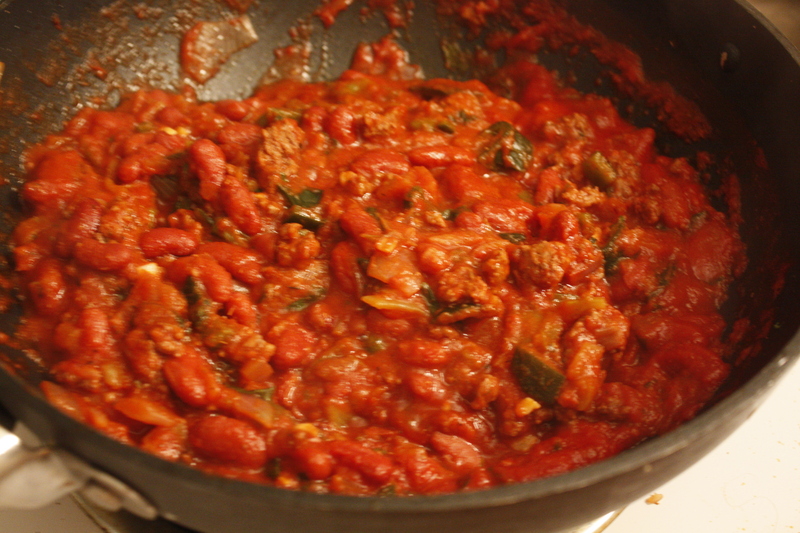 Plate your dish: Divide the chili between 2 dishes. Garnish with the grated cheese, avocado and the remaining onion and remaining cilantro. Serve with the remaining lime wedges.